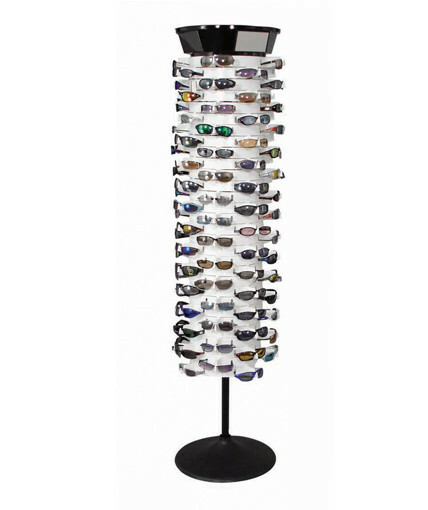 Our SUF Series adjustable plastic sunglass display can easily be configured to hold 72, 96, 108, 120, or 144 glasses. 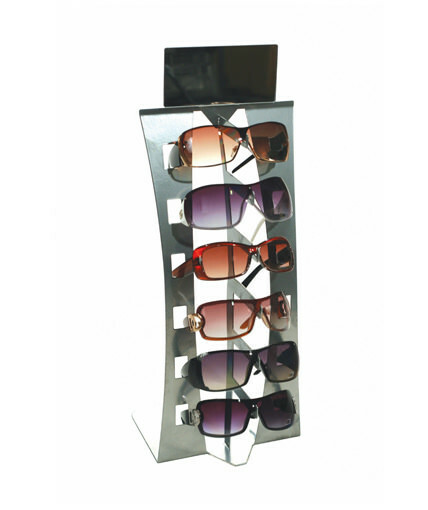 Designed for customers on a tight budget, the SUF Series sunglass display rack features white injection molded plastic rings that just snap together and break down for efficient shipping. The plastic rings are also light weight which also helps to reduce shipping costs. 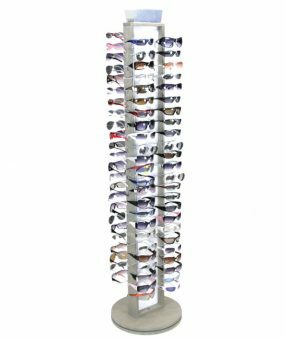 These eyewear displays also include a plastic base, poles, and plastic crown with 2 acrylic mirrors. The base, crown, and poles are available in black or white. These displays can be easily assembled in minutes with no tools. Is the SUF Series Right For You? 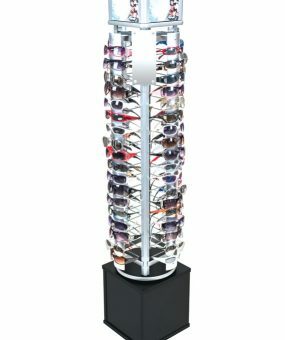 If you are looking for an extremely affordable sunglass rack that can hold anywhere between 72 and 144 sunglasses, then you should consider our SUF Series. The SUF Series is one of our most time-tested and economical plastic sunglass displays. Its white plastic rings hold sunglasses or reading glasses efficiently and provide the perfect background to make your sunglasses pop. Furthermore, this display is inherently modular by design. 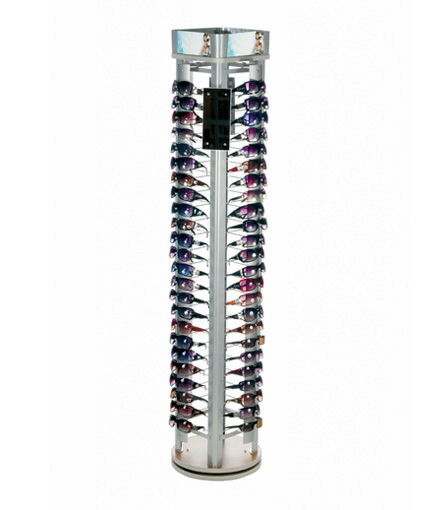 It is easy to add any number of rings to the display to accommodate a wide range of sunglass counts to meet specific retailer or program needs. In addition, its 17″ compact footprint makes the SUF Series highly space-efficient, particularly compared to other sunglass display cases on the market. The unit’s plastic rings are highly durable and are manufactured in the USA. The SUF Series is particularly well-suited for small format retail stores such as convenience stores and gift shops, but it’s also a great choice for dollar stores and grocery stores.